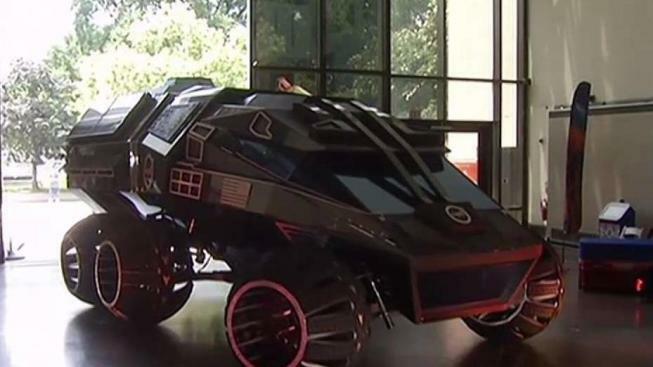 The type of vehicle that could explore the surface of Mars is going on display in Washington. The National Air and Space Museum is featuring the Mars Rover Concept Vehicle on Friday and Saturday. Friday is the museum's annual "Mars Day!" celebration. 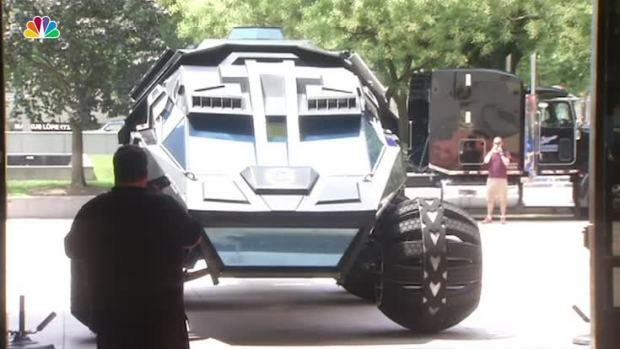 The museum says the rover weighs 5,500 pounds and is nearly 11 feet tall. It was commissioned by the Kennedy Space Center Visitor Complex in Florida as a traveling exhibit to inspire the public about space exploration and interplanetary travel. The Washington Post reports the rover can separate in the middle, with the front end working as a scout vehicle and the rear end working as a laboratory. It runs on an electric motor fueled by solar panels and battery power. A Mars rover concept vehicle is on display at the National Air and Space Museum in Washington, D.C. The electric vehicle seats four and maxes out at 6 mph. The vehicle was commissioned by the Kennedy Space Center to inspire the public about space exploration.